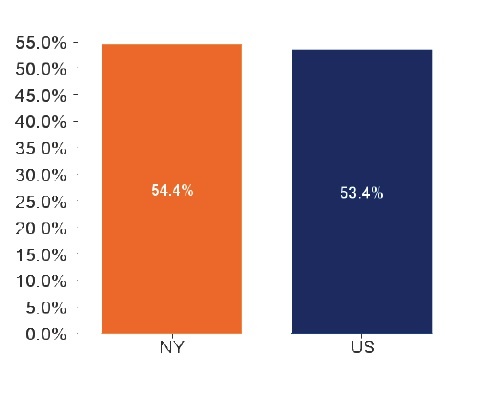 This chart shows the percentage of renter-occupied units spending 30% or more of household income on rent and utilities in New York State in 2011. This measure is an indicator of the portion of a household’s income that is consumed by costs of renting. Expenses such as rent, utility costs and other fees take away money that could be saved or invested in other assets. Rank: 41 out of 51 (50 states plus Washington, DC) — making New York one of the least affordable states. In New York, the Fair Market Rent (FMR) for a two-bedroom apartment is $1,283. In order to afford this level of rent and utilities – without paying more than 30% of income on housing – a household must earn $4,278 monthly or $51,337 annually. Assuming a 40-hour work week, 52 weeks per year, this level of income translates into a Housing Wage of $24.68. In New York, a minimum wage worker earns an hourly wage of $7.25. In order to afford the FMR for a two-bedroom apartment, a minimum wage earner must work 136 hours per week, 52 weeks per year. Or a household must include 3.4 minimum wage earners working 40 hours per week year-round in order to make the two-bedroom FMR affordable. 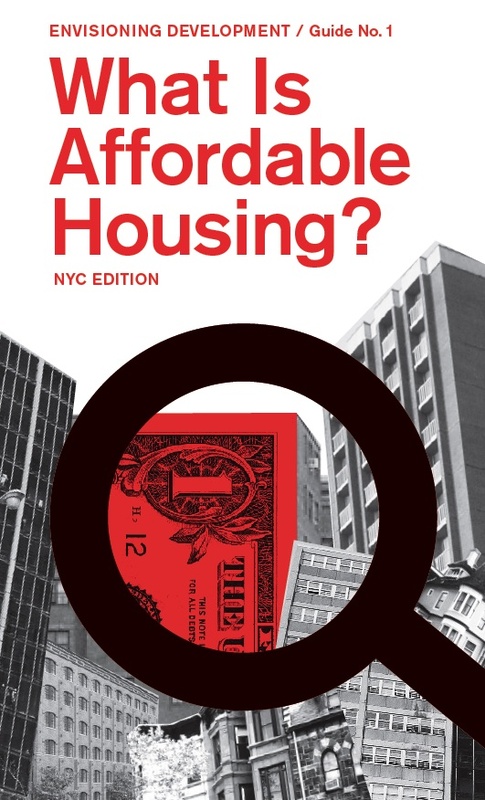 In New York, the estimated mean (average) wage for a renter is $21.45. In order to afford the FMR for a two-bedroom apartment at this wage, a renter must work 46 hours per week, 52 weeks per year. 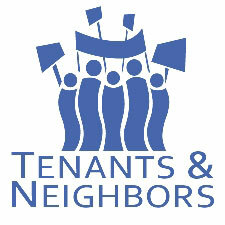 Or, working 40 hours per week year-round, a household must include 1.2 workers earning the mean renter wage in order to make the two-bedroom FMR affordable. In Westchester County, the Fair Market Rent (FMR) for a two-bedroom apartment is $1,580. 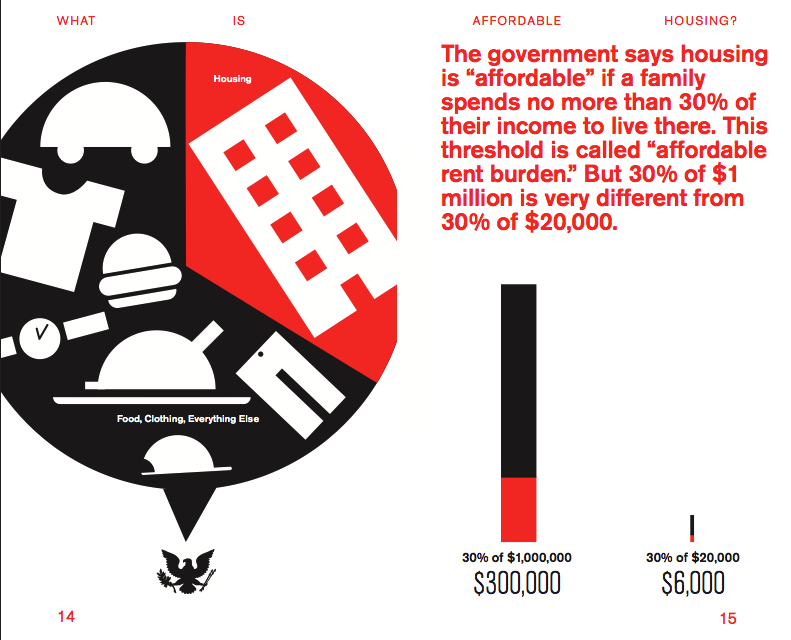 In order to afford this level of rent and utilities – without paying more than 30% of income on housing – a household must earn $5,266 monthly or $63,200 annually. Assuming a 40-hour work week, 52 weeks per year, this level of income translates into a Housing Wage of $30.38. A household in Westchester County would need to include the equivalent 4.2 minimum wage earners working 40 hours per week year-round in order to make the two-bedroom FMR affordable. For more information, see the New York State Out of Reach 2012 Report.